Kylie McKenzie, a 12-year old USTA Southwest junior player from Anthem, Ariz. was recently selected as the Southwest Tennis Foundation's first-ever recipient of the Sam Fields Scholarship. 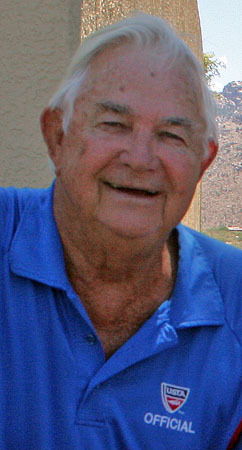 The scholarship was created late last year to honor Sam Fields, a longtime USTA Southwest volunteer and official, who held a soft spot for our juniors and fair play. Fields passed away after a battle with cancer in late 2010. Two $1,000 awards will be given out each year in his name, with McKenzie being the first-ever selection, and the first of two winners for the 2011 awards cycle. Potential applicants were requested to submit the online application prior to May 1 to be considered. Fields Scholarship deadlines will be May 1 and Dec. 1 of each year. The Fields Scholarship was created to encourage young players to pursue their tennis goals and dreams by succeeding on and off the court and to help provide financial support to achieve those goals. The scholarship is open to competitive USTA Southwest junior players participating in USTA sanctioned tournaments who want to join a tennis academy program of their choice to improve their tennis skills. Other criteria included for consideration of the scholarship is USTA membership, the demonstration of true sportsmanship by being a fair and generous winner and graceful loser as well as active participation in extracurricular activities and community service. McKenzie, who has been a USTA member since she was eight years old and a top competitor in both the 10s and 12s age group, is currently the top-ranked Girls' 12s singles player in the Southwest and a winner of the recent Southwest Junior Closed in that division). McKenzie trains at Topnotch Tennis Academy in Phoenix and hopes to be a veterinarian after her tennis career is over. Congratulations to Kylie for her selection! Interested in applying for a Sam Fields Scholarship? Deadlines for the Scholarship are May 1 and December 1 of each calendar year. Three letters of recommendation must be sent in along with the application. 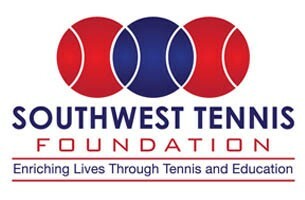 The Southwest Tennis Foundation is the charitable arm of USTA Southwest, and strives to provide need-based funding for junior players and college scholarships, support tennis programming that betters communities and for educational training and assistance. The Foundation is 100% reliant on the generous contributions of donors, tennis lovers and USTA members and is always looking for contributions to support our mission of "enriching lives through tennis and education". 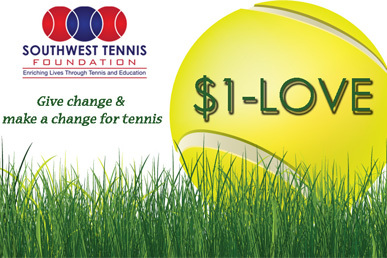 To support the Southwest Tennis Foundation, even a small amount - please click HERE. Your donation is tax-deductible and helps support the sport as well as efforts to grow it in Southwest communities.